As the DIM Foundation ventures closer to releasing their new Hybrid Stock Exchange, a trading platform based on blockchain technology, they are all set to adopt innovative features to sustain the needs of the ever-growing industry. April 25, 2018: Most people that are familiar with the Stock Market are aware of the need of acquiring an ISIN. The International Securities Identification Number (ISIN) is a 12 character code that uniquely identifies a specific security, such as stocks. It is the most popular securities identifier and is used globally. 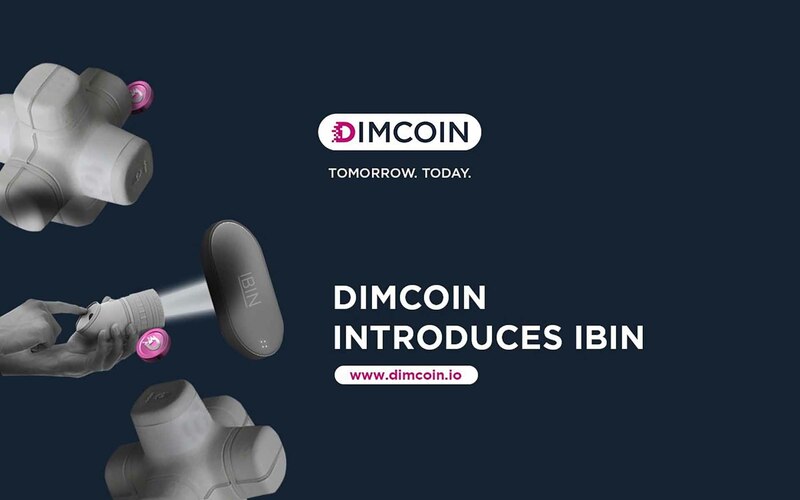 With the pre-registration for issuers and users soon to be opened, the inaugural DIM Ecosystem introduces the International Blockshare Identification Number (IBIN), a 13 digit, unique serial number used to identify a corporation or organization for listing on the Hybrid Stock Exchange. It will be this unique IBIN that will be used as a reference to buy, sell, trade and hold equity, with all details retained on the Blockchain. Each unique IBIN will function as the reference to buy, sell, trade and hold equity, with all details stored securely on the Blockchain. The DIM Foundation is a non-profit organization that recently grabbed the attention of the crypto world by creating and distributing the two different versions of the DIM cryptocurrency (DIMCOIN and DIM Currencies). The Data Interchange Module (DIM) cryptocurrency is a p2p, quantity-committed, secure, private and robust digital medium of exchange. DIMCOIN is a speculative digital coin built upon the NEM blockchain protocol. On the other hand, the DIM Currencies serve as a medium of exchange in the DIM Ecosystem. An online stock exchange, Hybrid Stock Exchange provides the small to medium enterprises a platform where they can engage in online stock and equity exchanges and access international capital from investors. Cryptonized assets such as intellectual property or company shares will be available on the HYBSE platform. DIM Currencies and cryptonised assets can be managed across the globe via computers and handheld devices with the help of a state-of-the-art blockchain wallet called DEPOTWALLET. The registration process is simple and easy because there is no need to have any banking details to open an account with DEPOTWALLET. With the mainstream equity markets suffering from downsides such as over-regulation, red-tape, excessive fees and long waiting periods, HYBSE‘s blockchain-based platform looks to eliminate hurdles and allow issuers as well as investors to conduct business on a secure and efficient platform. Lower operational costs, transparency, quick learning, easy web interface, P2P trading, robust security, and the availability of a large pool of financial instruments are some of the many benefits enjoyed by HYBSE users. Tradable securities on HYBSE currently include cryptonized shares, cryptocurrencies, exchange-traded commodities, exchange-traded fund, index, and more. In the coming weeks, issuers on the DIM Ecosystem will be able to apply and register for their IBIN at no charge. This limited time offer will be available until August 31, 2018. Anyone interested in finding out more may check the DIMCOIN Social Media for the upcoming announcement. The DIM Foundation is a non-profit organization that is responsible for the creation, management, and distribution of the DIM (DIMCOIN and DIM Currencies) and DIM TOKEN. All the profits received by the foundation will be utilized to further improve the DIM in order to increase its value. HYBSE has a license of Dealers in Securities in Vanuatu with the license number 17911.